Reclaim precious disk space by removing junk. Is there a better alternative to More Disk Space? 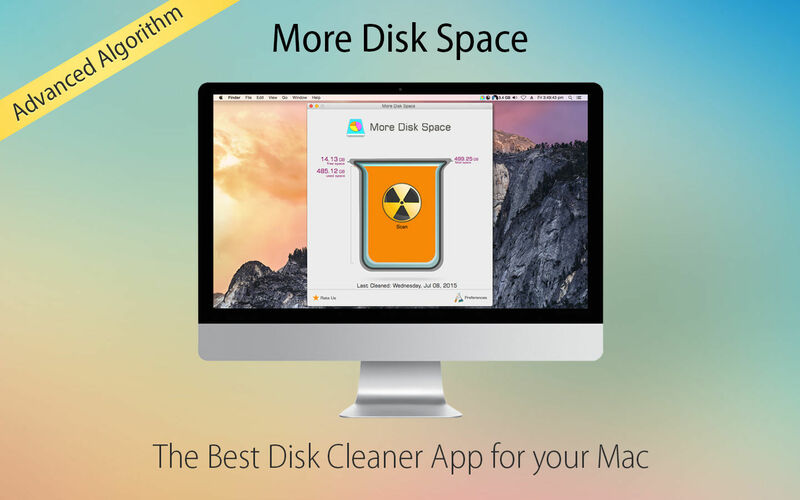 Is More Disk Space really the best app in System category? Will More Disk Space work good on macOS 10.13.4? More Disk Space is a very powerful tool to help you increase disk space in seconds. 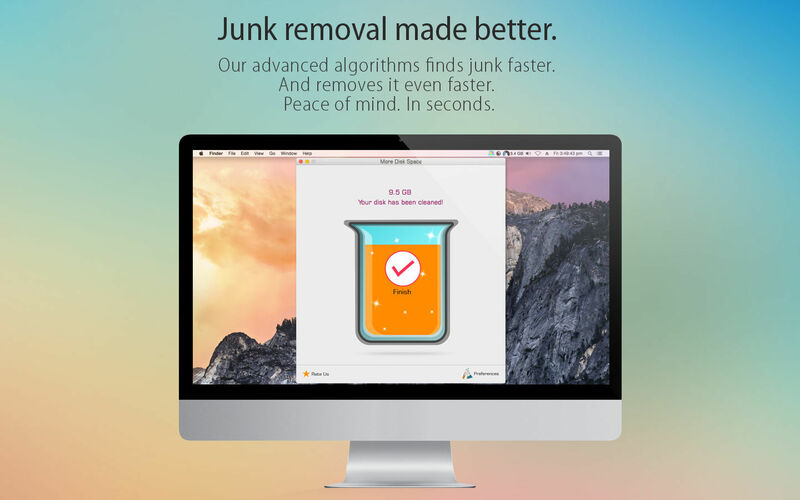 It quickly scans your Mac and finds junk files which are eating up your precious disk space. More Disk Space has an intelligent feature to remember when to check for junk files. Just schedule it and specify how much junk you can tolerate. 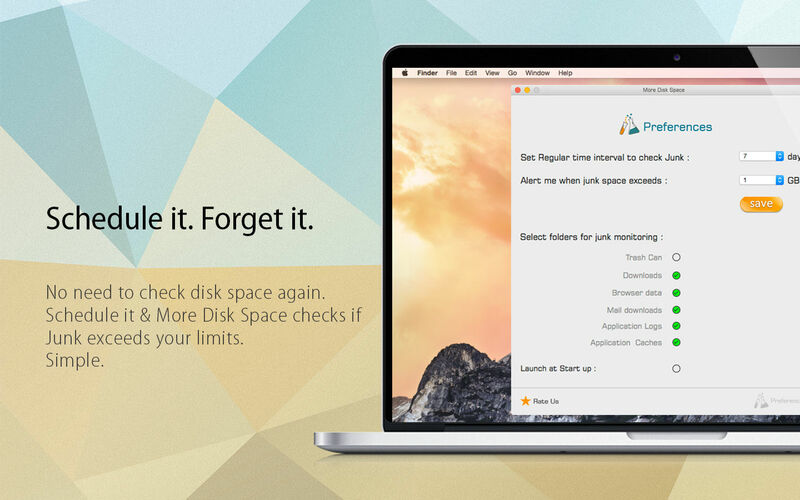 More Disk Space will regularly check and alert you when the junk exceeds your prescribed limits. With its accurate reporting, More Disk Space informs you how much space you freed at any given point in time. More Disk Space needs a rating. Be the first to rate this app and get the discussion started! Our advanced cleaning algorithm is designed to handle gigabytes of junk files and cleans them quickly. 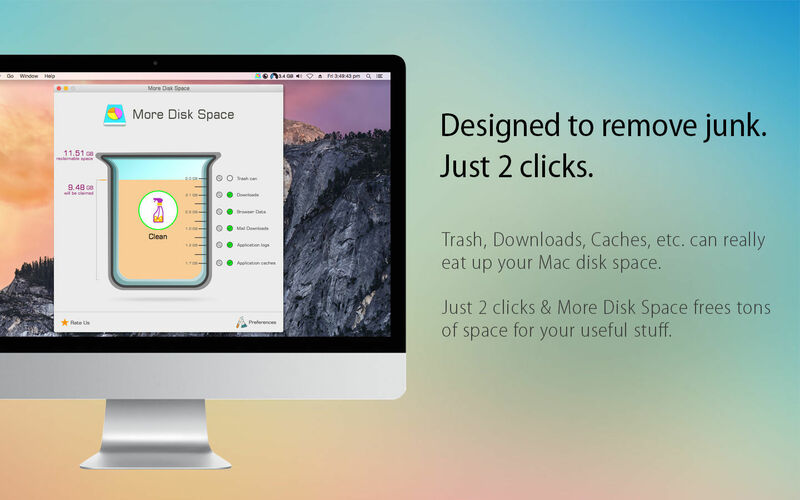 Take the advantage of More Disk Space and get more space on your Mac. Two clicks and you are set.